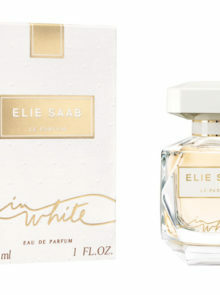 Elie Saab, the admired fashion designer, has shown yet again how he magnifies femininity through his new Le Parfum In White. 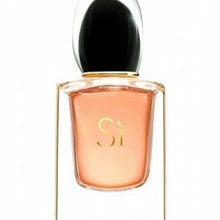 Known for fairy tale creations using simple styles with intricate detail, his range of perfume – and especially his latest addition – is no different. A vision of faceted glass decorated with a white cap and an elegant golden line, this signature enrobes the couturier’s vision of the scent of In White. A white musk base blends seamlessly with the top notes of green mandarin from Italy, the fruitiness of blackcurrant bud and the softness of pear. The heart notes are a radiant bouquet of florals – jasmine sambac and orange blossom mingle with the fresh scent of peony, while ylang-ylang and vanilla complete the journey. With the new campaign for In White, Elie Saab Le Parfum finds a new incarnation with feminine and sensual beauty set off by a dazzling lace dress –a virtuosic “scent-gown” so ethereal that the petals that adorn it look as though they had simply fluttered onto the model’s skin, carried by a floral whirlwind. 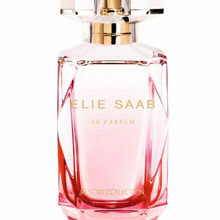 You’ll want to wear Elie Saab Le Parfum In White on all those special days you want to feel feminine, sensual and chic.